The title may sound a bit odd. Who would want to get lost while visiting a city? Trust us, Venice is a special case. 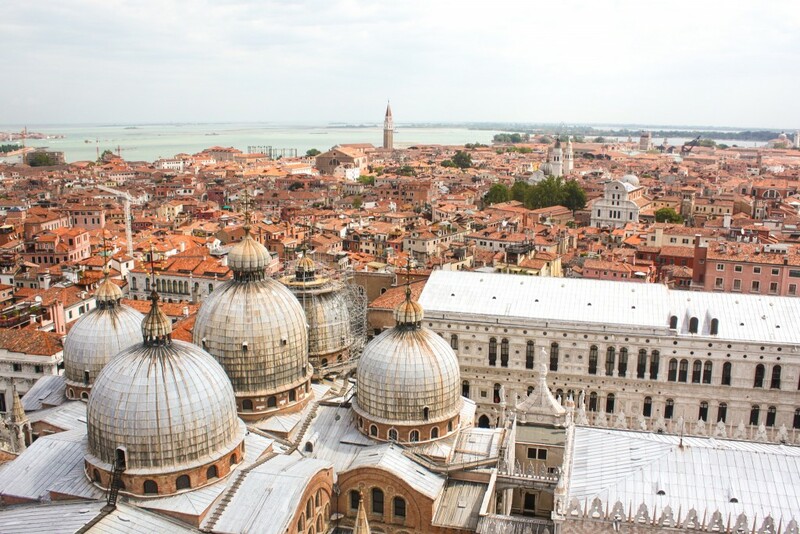 A maze of narrow alleys and canals, stunning architecture and beautiful squares. 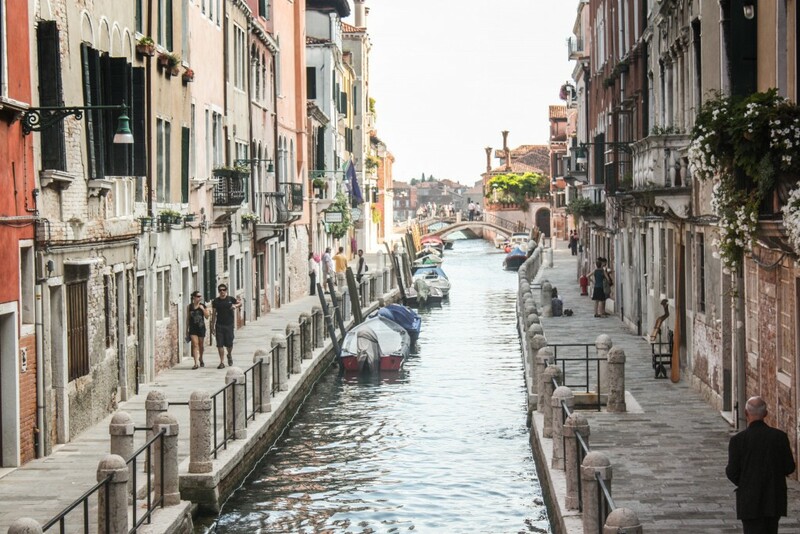 With all this, the best way to discover Venice, the iconic “floating” Italian city, is by getting lost and simply wander around with no pre-defined route. Being so unique, Venice is naturally a UNESCO World Heritage site. We spent a few days exploring Venice a few years ago and it was a great experience, even though the major sights were very crowded, as expected. The great thing about getting lost in Venice is that it helps to avoid most of the crowds that flock to Rialto Bridge or Piazza San Marco. And there’s so much more to be seen. Actually, even following a map, one can unintentionally get lost quite easily. Fortunately, there are street signs virtually every other corner pointing towards Rialto, San Marco or Ferrovia (train station). It’s quite easy to get back on track if one wishes so, but let’s not spoil all the fun. Crossing the larger and smaller canals using the dozens of bridges available is a great opportunity to see how life in Venice works, as everything is done by boat. Imagine all the normal services everyone is used to having on the roads. 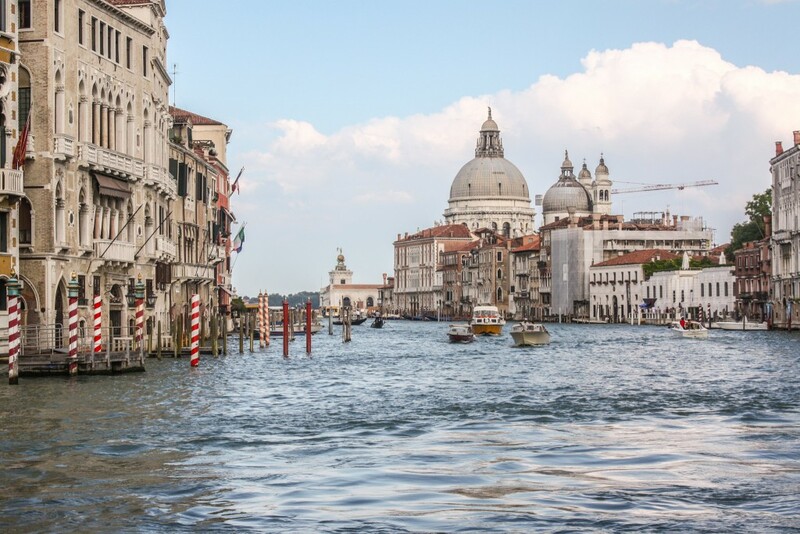 In Venice, these are all water-based, and waterways act as roads. Police, deliveries, you name it. All by boat. The buildings, some colourful others palace-like, rising from the water are incredible and most very old. 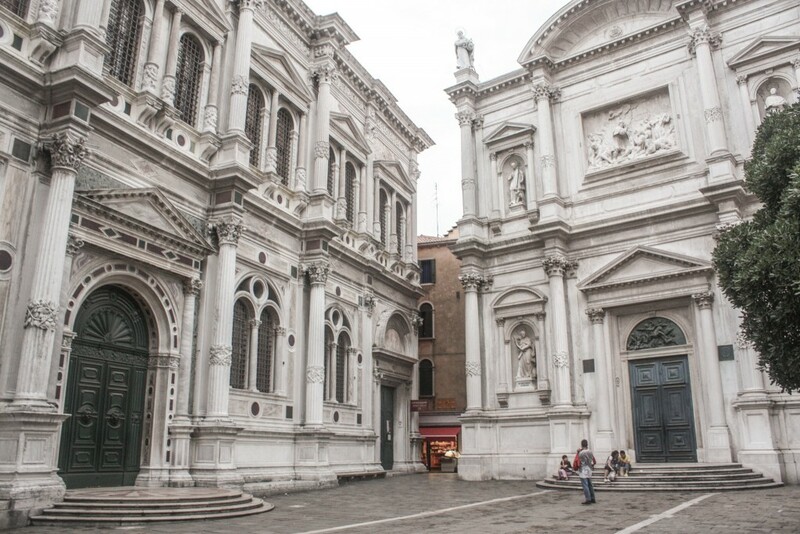 It’s impossible to do justice to the architecture that can be found throughout Venice in a short article like this. It needs to be seen. We randomly wandered the streets and stumbled upon many interesting buildings. Hopefully, the pictures help to highlight what we saw. 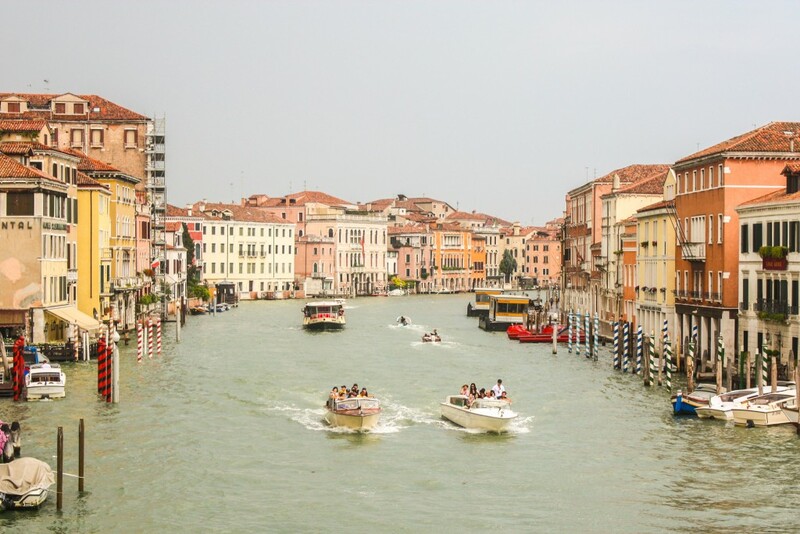 At the Grand Canal, the bustling “street” of Venice, it is sometimes very difficult to understand how so many boats can cope with each other and don’t have accidents. It almost looks like a game. 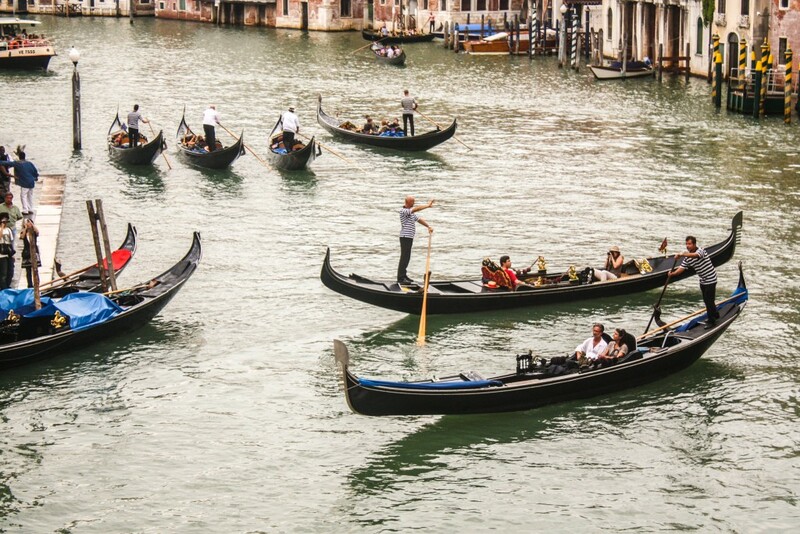 Among the many types of boats that cross Venice’s canals every day, the Gondola is the most famous one. Tourists queueing at main points are a common sight. Despite the usually expensive price, they are a joy to the eyes and suit very well the Venetian atmosphere. On the side canals of Venice, there are plenty of small boats that the few locals who still live there use as transport, with many docking points and boat garages spread throughout the buildings. We saw some locals unloading groceries to their houses. Sometimes, to get to these side canals we had to go through the narrowest alleys we’ve ever seen in order to find a passage. Completely lost. 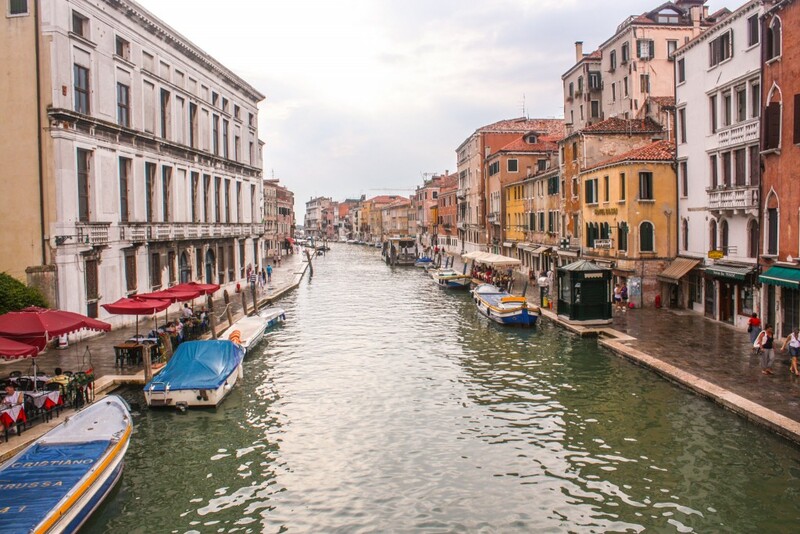 One of the top things to do is to walk along one of these canals, calmly enjoying the unique setting that Venice provides. Inevitably, we ended up at Piazza San Marco, the main square in Venice. 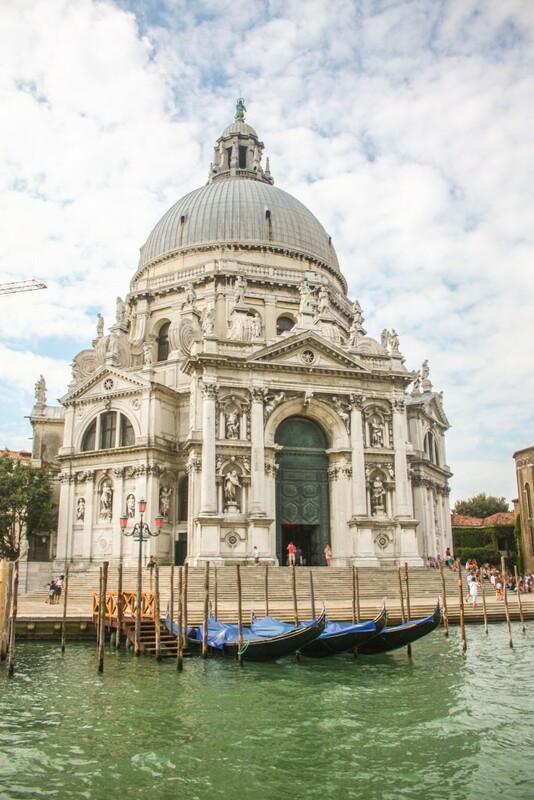 Around this always-busy place, there are many interesting things to visit, Basilica Cattedrale di San Marco, Palazzo Ducale, Museo Correr and the Campanile. 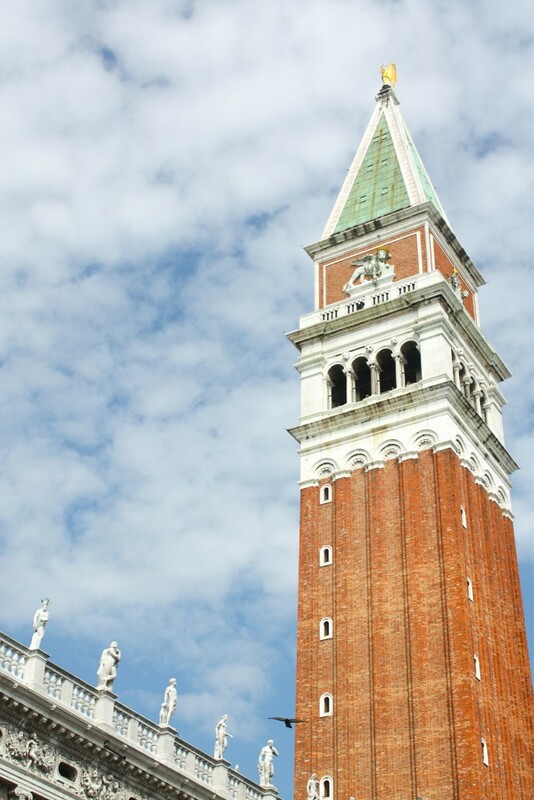 We visited all, but our favourite was clearly the Campanile, which offers amazing views across Venice. A very nice way to discover Venice and to hear the bells up and close. 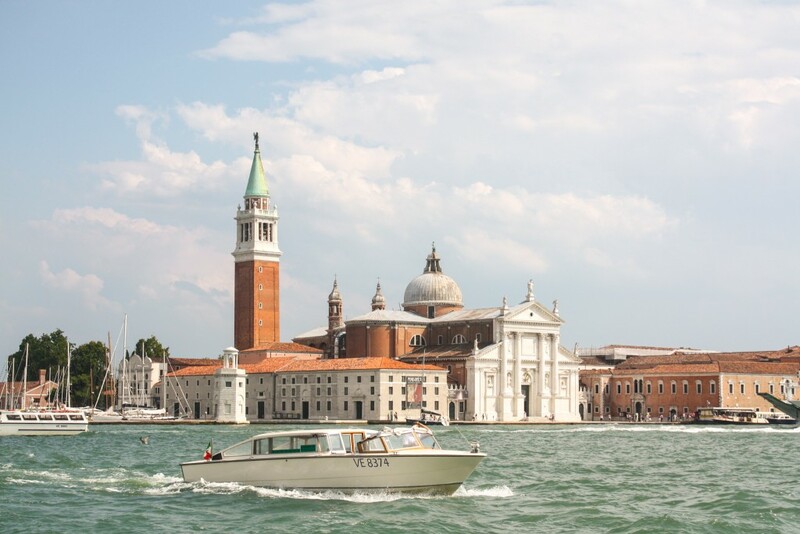 A visit to Venice is not complete without discovering it from the water. Not literally, though. 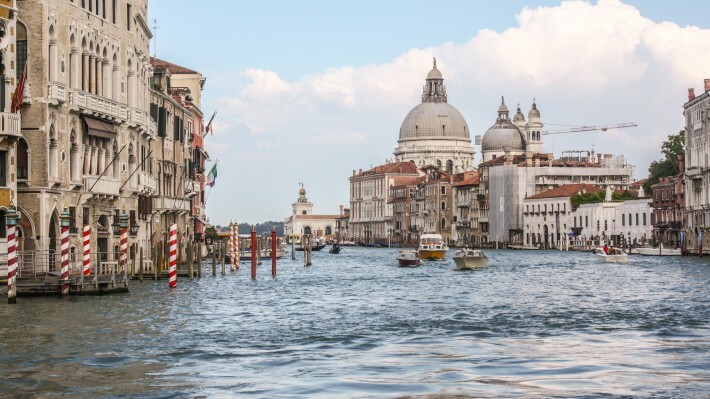 We’ve talked about Gondolas before, but there are alternatives like the water bus, which is a far better way to see parts of the city otherwise impossible to see. 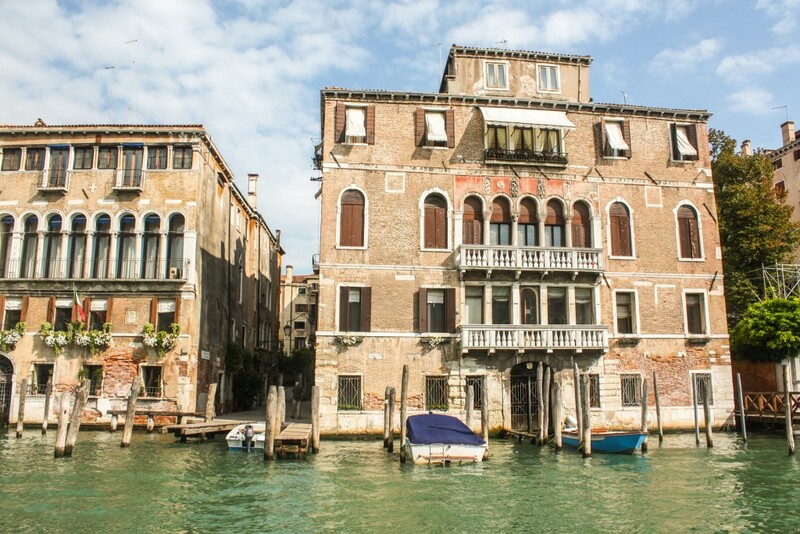 The numerous buildings that face the Grand Canal are a great example of this. No dull moments exist in Venice. At sunset, the colours of the building façades are highlighted as the sun strikes the canal. There’s always time for another walk, time to see something new and interesting. Have you been to Venice? How was it like to discover Venice? Let us know in the comments! 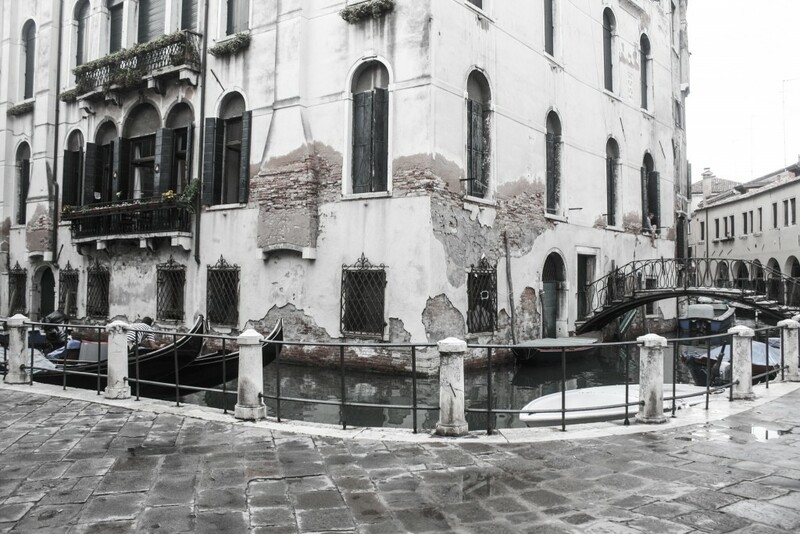 Venice is really a romantic place! Thanks for sharing those tips. Will keep it for my Venice trip planning soon! 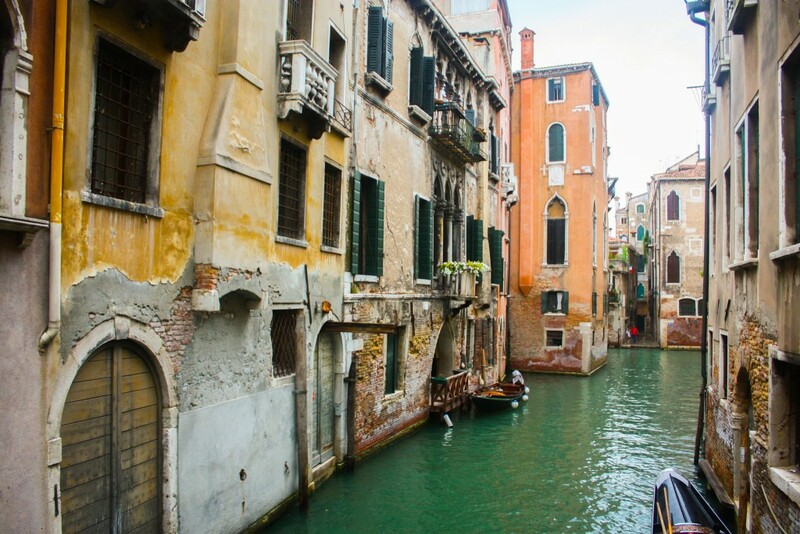 Venice is usually seen as a romantic place, but that’s definitely something that didn’t cross our minds while visiting. The very particular setting and layout of the city are clearly the most impressive and worth visiting for! Visiting soon? Cool. Let us know how that goes. It’s a place everyone should visit. We loved getting lost in Venice. It was charming. Loved the canals all around it. Would love to explore there again! It really is the best way, isn’t it? We hope to make there once more just to experience it again. Beautiful photos. I’m currently exploring the Amalfi Coast on my first visit to Italy. Such a gorgeous country. We’ve been to a few other places in Italy but not the Amalfi Coast. We definitely need to do a road-trip around that area. Italy has lots of things to see and do. Wow, this takes me back! My wife and I spent a wonderful day getting totally and completely lost in Venice many years ago. Not only did we find amazing alleys to explore and photograph, we also had a great lunch at a place so off the beaten path that we were the only non-Italians in the place. It was so much fun. Yes, exactly! That’s what we found as well, including the food. Thanks for sharing. It doesn’t sound crazy. Getting lost is the best way to explore a new city, or find hidden gems in a city you’ve already visited. 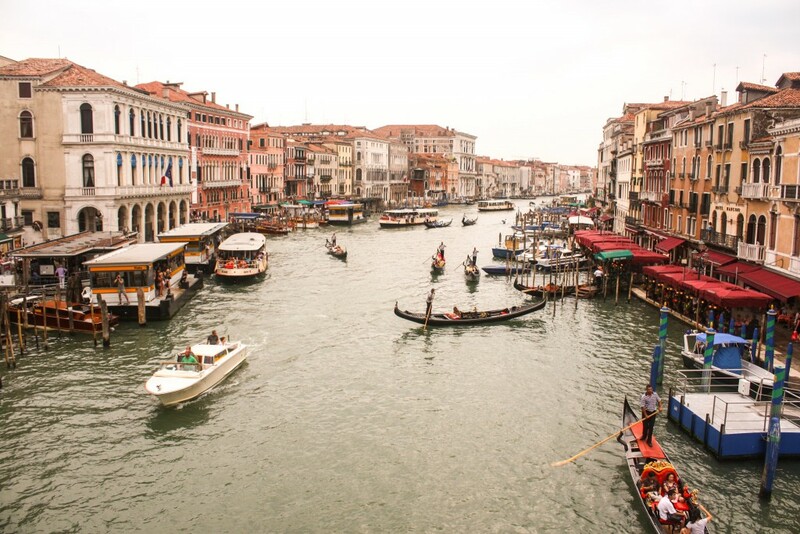 I’ve never been, but getting lost around Venice sounds incredible! Yay! Agree. It’s even better in venice due to the nature of the city. Completely different from any other places we know. I really enjoy seeing the quieter, less crowded Venice you guys found. I was in Venice for part of my honeymoon. Your title could not be more appropriate! My husband and I actually lost each other and wandered around for a while before actually stumbling upon one another in Piazza San Marco. Can you imagine being married for 3 days and thinking you’ve lost your husband already (wink wink!)?! In all seriousness, though, Venice should absolutely be explored by getting lost. 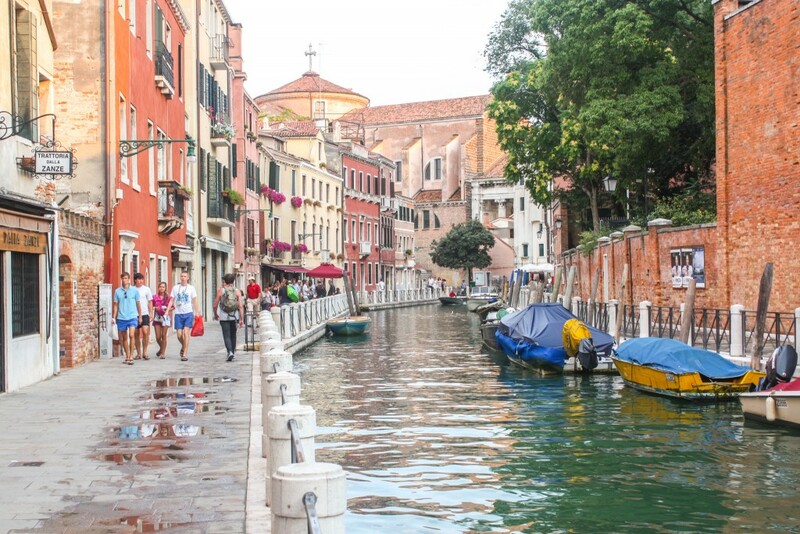 The maze of canals somehow always lead back to the main piazza and along the way you see the wonderful daily life scenes and find the best places to eat! It’s true. All the paths seem to lead to Piazza San Marco. 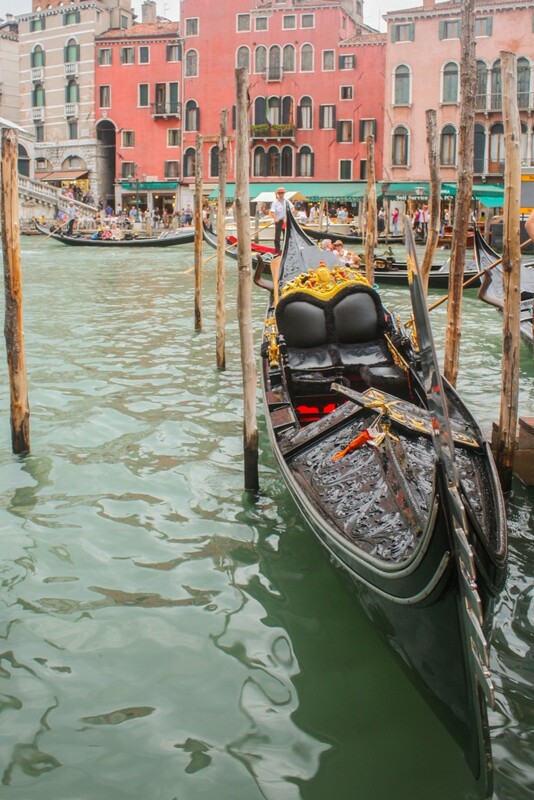 We chose to skip the gondolas (like you said, they are expensive and a tourist trap!) but I agree that Venice is the perfect place to just wander and “get lost in”- even when we tried, all the streets would come back to where we were earlier! Glad you agree! Venice is a crazy maze. Somehow it all leads to the same place, no matter how far you go. 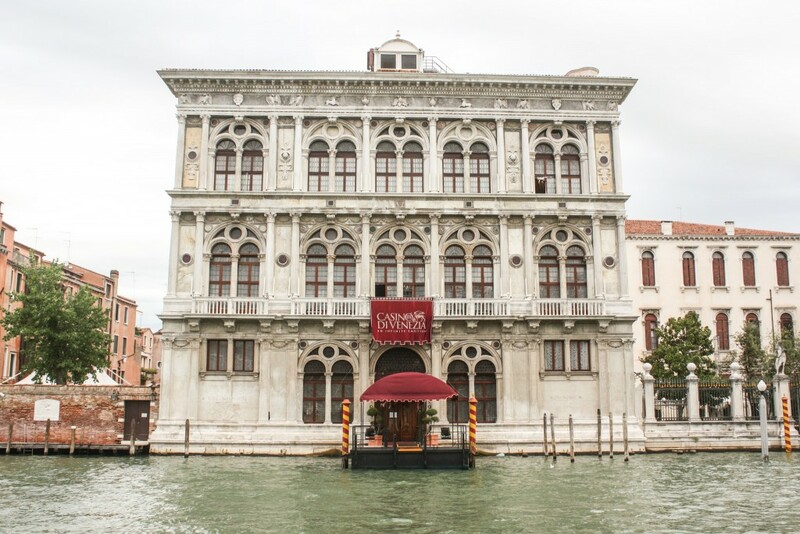 We definitely got lost in Venice on our honeymoon when the vaporetto stop nearest our hotel was closed for repairs and we ended up somewhere entirely different. Love Venice, though. That’s the forced way of getting lost. Good thing that Venice is not that big! We found the Vaporetto to be an excellent and quite reliable way to save some time while there. I would love to visit Venice someday. Besides seeing the sights and architecture I really want to see how it works within the confines of all that water. Seeing how it works is probably one of the nicest things to do. Everything runs on a boat, police, firefighters, deliveries, etc. It’s a bit crazy but also quite special. So true. All major tourst destinations are too crowded these days and to explore the true sense its better to get lost. 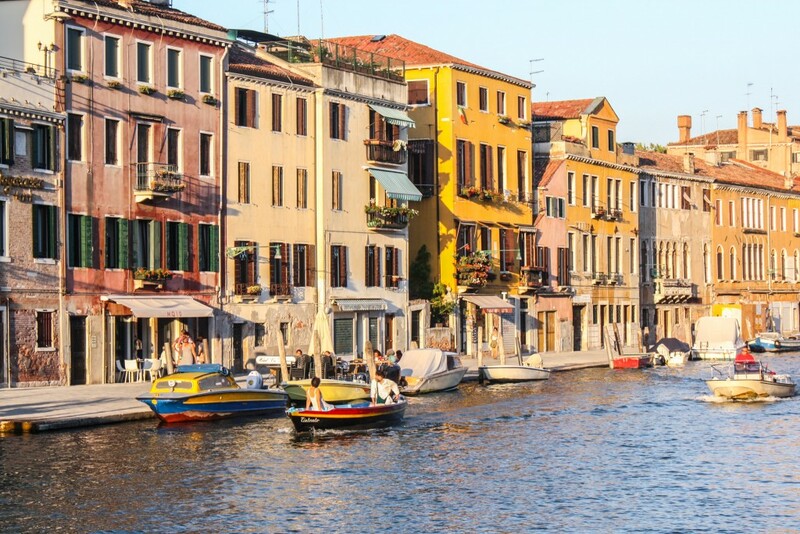 Venice certainly has a lot to offer and it seems you nailed it. You’re very much right. That’s exactly why they are touristy destinations nowadays. It helps to explore the lesser visited bits. 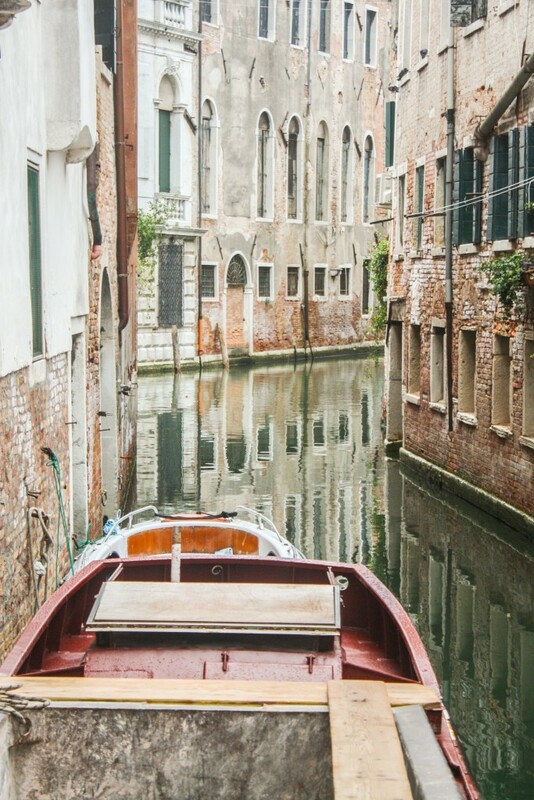 I’ve always dreamed of going to Venice and can’t wait until I finally see it for myself. It looks like such a romantic place. I know I’d love the architecture and history of it all. It’s a place everyone should visit at least once. Lots of history and unique architecture!